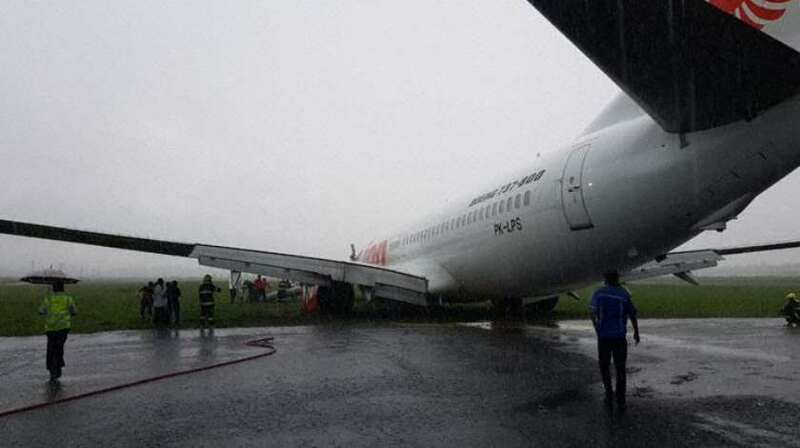 A Lion Air Boeing 737-800, performing flight JT-714 from Jakarta to Pontianak (Indonesia) with 182 passengers and 7 crew, landed on Pontianak’s runway 15 in rain when the aircraft overran the end of the runway. The aircraft came to a stop about 220 feet/67 meters past the end of the runway with all gear on soft ground just past the paved surface of the runway end safety area. There were no injuries, the damage to the aircraft is being assessed.